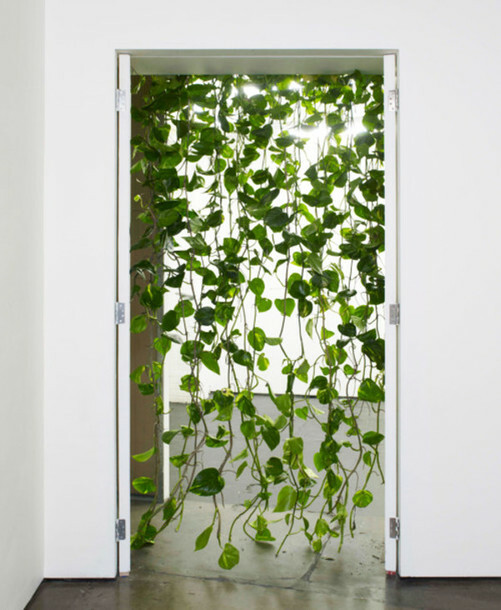 JayJay2213: Where can i get this doorway curtain? Artificial plant curtain. No where near as pretty though! I would say that's actually a real plant. There's likely a trellis or a planter above the door. This looks like an art gallery space, so it may be an art piece.